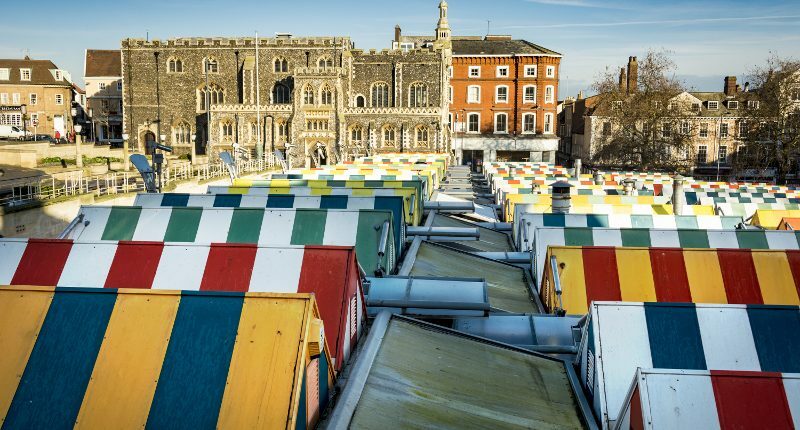 Businesses within the iconic Norwich City market will be open to new opportunities involving Google’s Digital Garage. The digital skills workshops and courses are designed to help traders and owners extend their reach beyond Norwich. Piecing together a digital marketing plan, increasing the stall’s visibility and building a social media strategy are all part of Digital Garage. As part of Google’s plan to increase the presence or Norwich City market they have brought along street view cameras. This will allow traders to attract more customers through free online advertising to street viewers. Market traders aren’t known for having a great online presence, however this is a great step to generating a wider customer base. The coaching sessions will go through steps to getting online and building a digital CV. Innovate UK’s research showed that improving digital skills was a top priority for businesses on the high street. 42% of respondents of their survey claimed this with 36% mentioning digital marketing. In another study, The Great British Market Revival by Google, it was revealed that there are new opportunities for traders in the East of England to grow their reach. As a result they can increase their customer base. 51% of Brits are less likely to visit markets in 2018 than five years ago. A lack of digital presence has played a major part in this decline. Studies show that nearly 20% of people in the UK visit markets weekly with an average spend of almost £23.